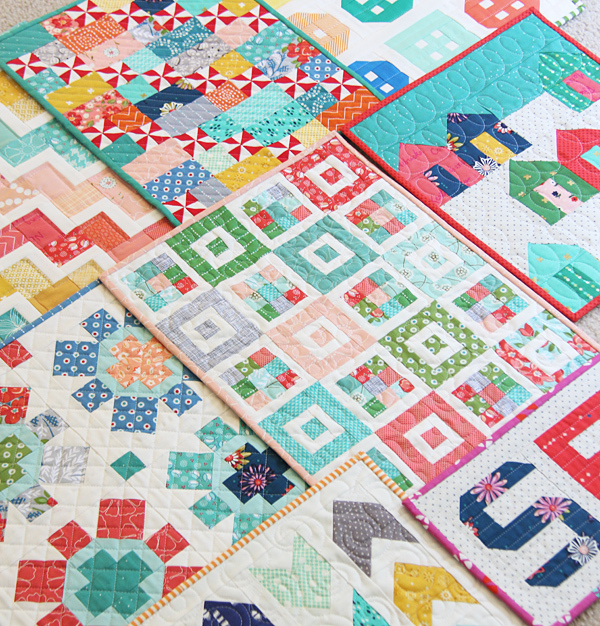 I have to fess up to not being into the whole “mini quilt” thing when it became popular. I mean, what is the point of a mini quilt??! Now I’m sticking my big foot in my mouth…because these were so much fun to make. I get it now! I love making mini quilts! I especially love not having to crawl around on the ground to lay out blocks. I could lay the whole mini quilt out on my sewing table and not even have to move! Plus they are a fun challenge, all those tiny pieces take some concentration. I actually feel like a better quilter after making these (actually Trish made these two!). I made 7 of my older patterns into minis, basically the ones that you had asked for, and I felt worked best in a mini-version. I didn’t want to offer them as individual patterns…so I put them all into one booklet, plus a SEW mini just for fun. The booklet is 18 pages with the 8 mini patterns, plus some close up photos and tips. I worked on sewing and the writing the booklet here and there throughout the summer…oh and happy September 1st by the way! Even the bindings were fun to hand sew…and quick! I cut the binding strips 2″ instead of 2 1/2″. It looks better on these small quilts and was still easy enough to hand sew to the back. My favorite 3 of the bunch is Spin Cycle, Suburbs, and Pow Wow. Those Spin Cycle blocks were fun to put together (they are just over 6″), and watching those tiny seams line up is pretty darn fulfilling. You can find the pattern booklet in my shop here, in a booklet paper version or a PDF (letter sized printable) version. My other new pattern is in there too…I’ll blog about that quilt next! 48 Responses to Mini Quilts! 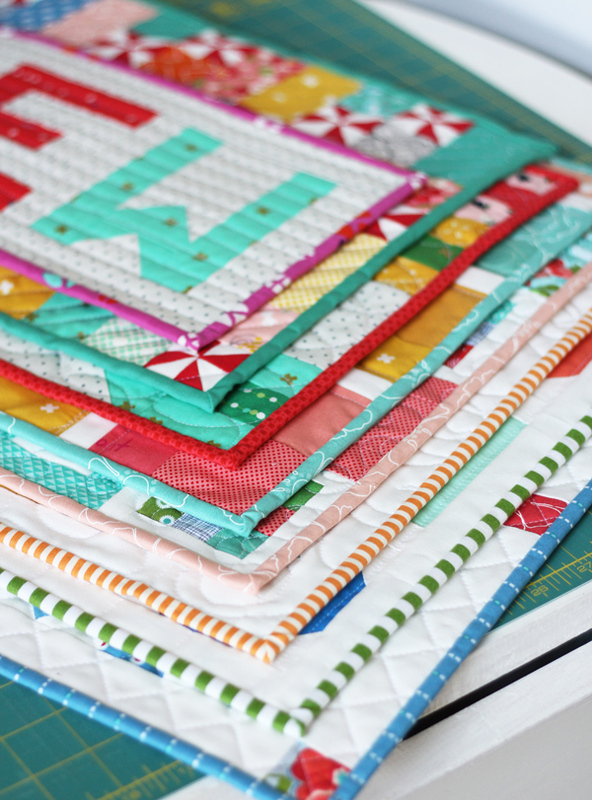 I’ve been the same way about mini quilts… WHY? What are they good for. But I have to admit, the more I see them, and knowing how much I love “tiny” stuff, I bet I would get hooked on them, too. I love your little collection. The Suburbs one is calling to me; I may have to head to your shop and check out that booklet! Thanks for your great blog! 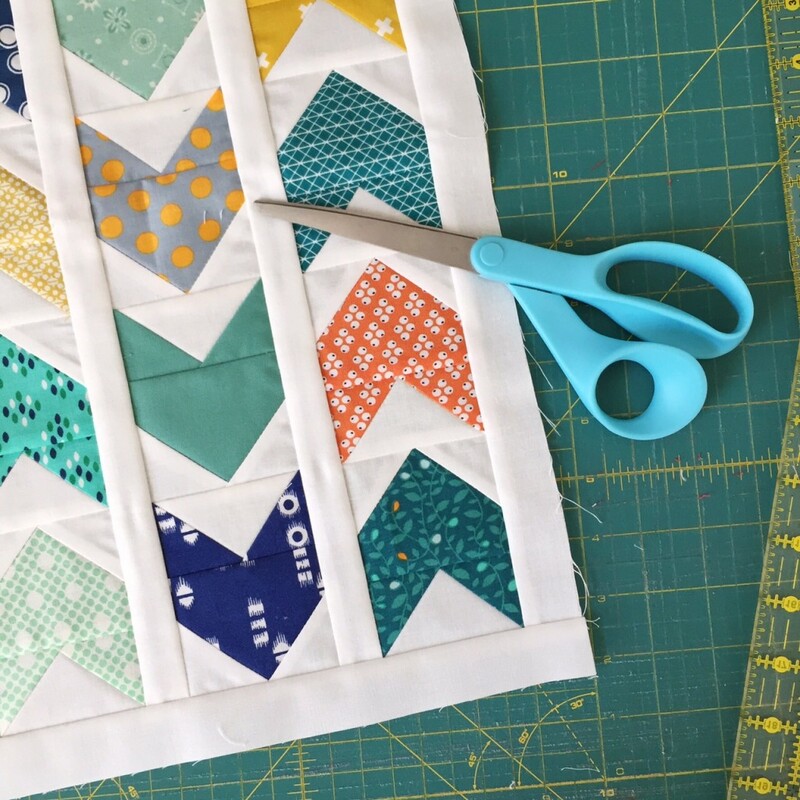 Allison, I’ve felt the same way as you with the mini quilts, and it hasn’t been until recently that I’ve thought making some mini’s for my sewing room might be fun. I absolutely LOVE your quilt patterns and your clear, simple directions. Who wants to buy all of the mini patterns, especially when you’ve already purchased the original? A mini quilt booklet is a brilliant idea!!!!! Can’t wait to get started!! Thank you Monica! 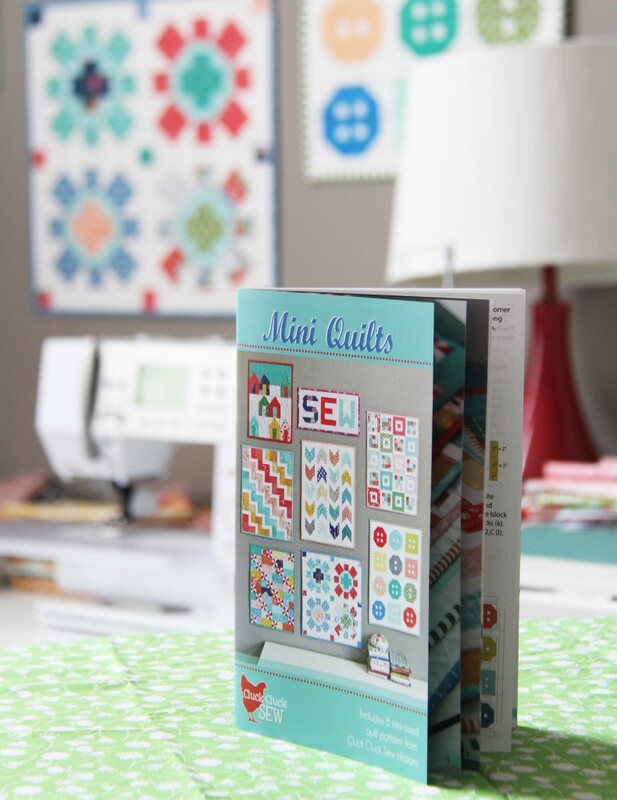 I had the same feeling about selling/buying mini versions of patterns already written! Bundling them helps…and it’s easier to keep track of them! Love all of these such fun!!! These look so cool! Thank you for all your work. And for putting them in one booklet, as I also have several patterns already. This will be the beginning of my very own wall of minis and I’m looking foreward to it. Absolutely adorable! I especially love the photo with them stacked on top of each other – all the cute binding! A booklet is brilliant! Definitely going to pick up your patterns and see what I can do with them. And then I get to go fabric shopping, woo! I love minis because I actually finish them. Your patterns look great. Definitely a must do! I’m so excited about these! Thanks for putting them in a booklet! Awesome idea! I LOVE your Mini’s!! I have many of your patterns and just finished your Suburb quilt. I love that you brought out these mini patterns. These make wonderful ‘incentive’ wall decors for the home! I’ve been buying mini quilt patterns as they come out because I love the idea but I haven’t found the time to make one yet. The idea of putting all of them in one booklet is genius! 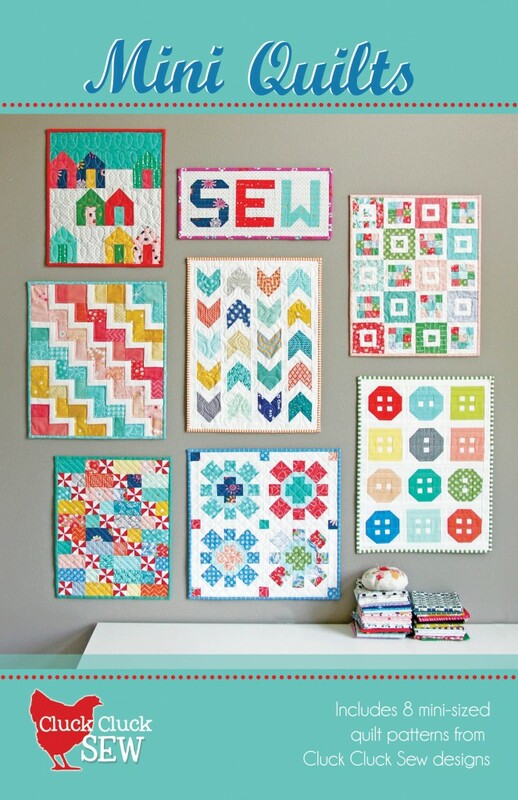 I plan on carving quilting time for myself over Christmas break and these will be on my list! Minis ARE awesome! It reminds that me when I was knitting a lot, I couldn’t understand why people would make sweaters for babies—they’re going to outgrow them real quick right? Til I MADE one, then I got it! Really fun to make something you love in small form–quick and satisfying! 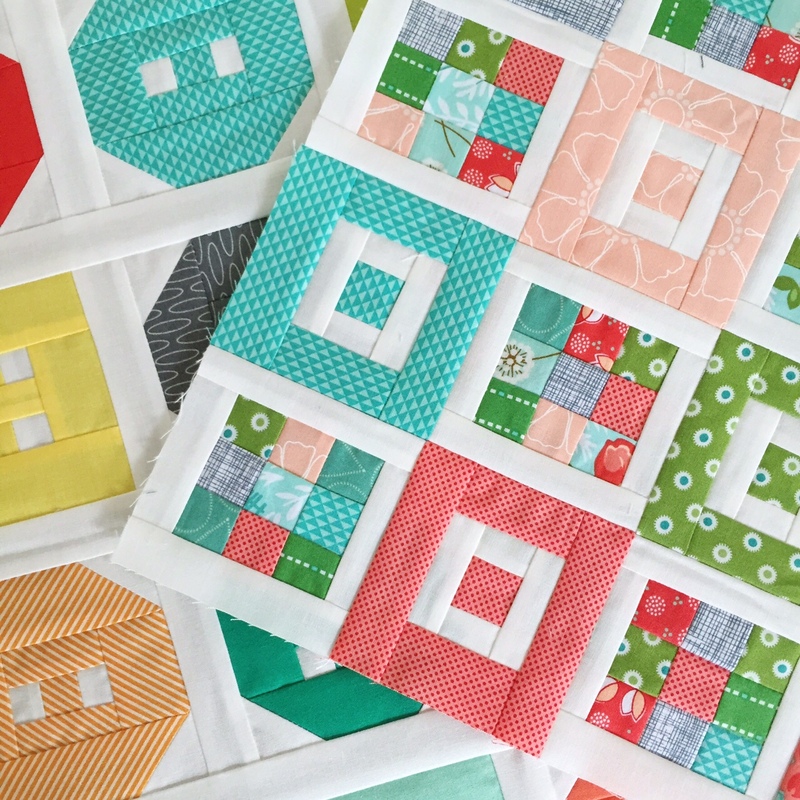 Mini quilts are a great way to play with a new block or technique with a lower level of commitment than a large quilt. Your patterns look great! I made mini quilts when my kids were little and I didn’t have much time or money for fabric. I could get a “fix” of both fabric shopping and sewing, and see something done. AND they made my home pretty, hanging on the walls. I LOVE you little book, I think I need it. I haven’t done a mini quilt in awhile! 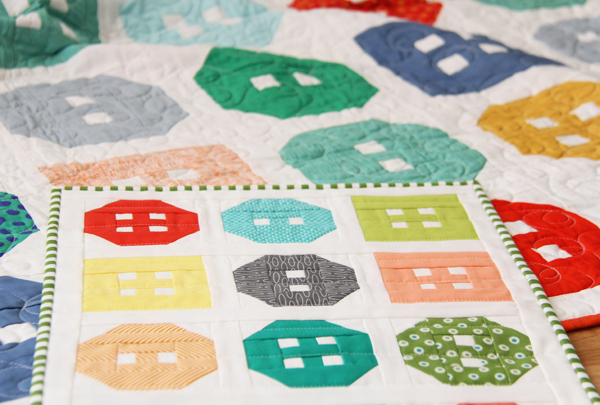 Mini quilts are not a popular new thing–they used to be called doll quilts! In the late 80s and 90s a Miniature Quilts magazine was published–I have every copy. Loved them then and still love them now. Yours are sensational. How big are the mini quilts? In my shop in the second photos it has all of the mini sizes…they range but most are about 13″ to 17″. Thanks!! Where do we find the booklet? I want one, lol, nice job! where do I order your book? BTW, love your patterns so I am selling them in my shop. Well, I was there when they started… They make wonderful Christmas ornaments, cuffs and yokes for denim jackets, yokes on little girl dresses, a man’s tie (if you can get him to wear it) or one for yourself, placemats, coasters, pockets or pocket tops, doll quilts. They are much easier now with the “Strip” method. These would make great doll/stuffed animal (or american girl) quilts for kids… especially if you matched up a bigger version for the kid… they would be in love (or atleast i would have been)…. I love your blog so much, it feeds my sewing addiction (especially as fall comes closer)…. Thank you for all the great inspirations!! great idea Michelle to gift them together…they would love that! And I’m so glad that I could feed your addiction! ;) I don’t know if that’s good or bad lol! These are super cute! 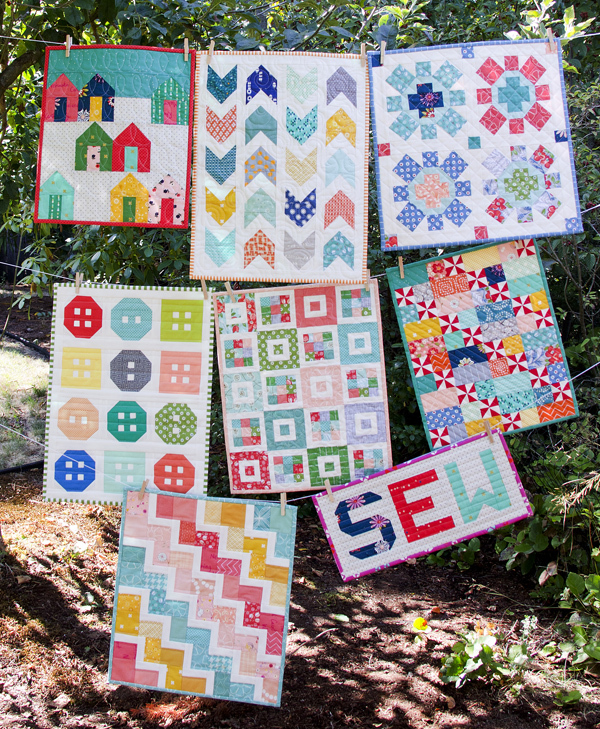 I can imagine making a full size quilt and then making a mini version from the scraps, perhaps to hang on the wall of the same room. Might have to do that! I still need to make a mini too and have felt the same way up till now. Great idea for your mini book! Anxious to start one now! Looking forward to the mail after the 10th! OK but so what ARE they good for? I’m still not convinced, however cute they are. Can’t decide which one I like best, but I must get this pattern booklet! In love with them all! Totally know what you mean. I’ve been in love with minis lately! Just bought mine! These are so freaking cute!! Your pattern making skills amaze me!! Just added these to my holiday wish list! What a great collection of minis! !